When it comes to choosing a travel trailer you will use in the cold weather of Alaska or Canada such as Alaska or Canada, it’s obviously important to go for a recreational vehicle with the best insulation. 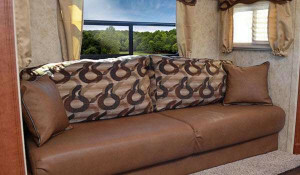 While in our previous post where we focused on the Top 5 Best 4 Season Travel Trailers Under 6,000 lbs GVWR, for this post we’ll be specifically be listing travel trailers with the best insulation. to insulation. 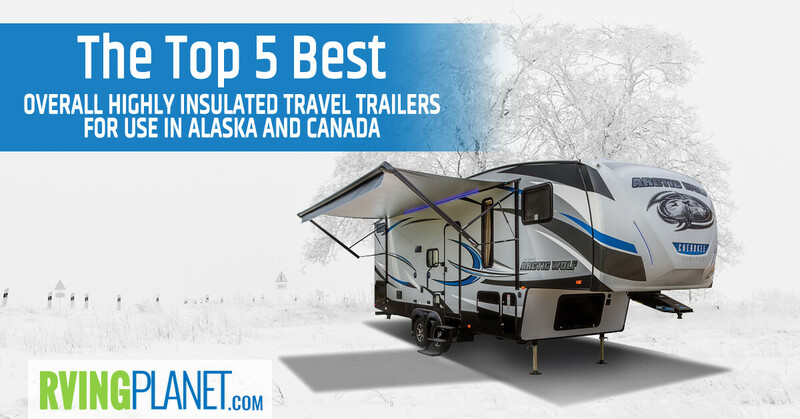 Read on, to discover the top 5 best highly insulated travel trailers for use in Alaska and Canada. 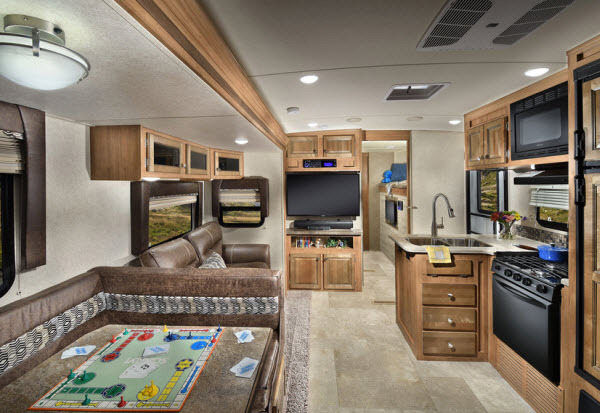 What puts an RV on the list: Insulation plays an important part in choosing these travel trailers, but we’ve also considered those with respectable reviews, a surplus of floorplans that provide you with a variety of layouts that ensure you find something right for you. View All Northwood Arctic Fox Travel Trailer Floorplans! Why we recommend the Livin Lite Camplite travel trailer: The Northwood series travel trailers are well known for their speciality in providing some of the best insulation in a travel trailer. It has 5 floorplans, with length ranging from a cozy 23 footer Arctic Fox 22G to a spacious 35 feet Arctic Fox 31D that can sleep up to 9 people. Its gross weights are mostly upwards of 7,000 lbs. In terms of features, the Arctic fox checks all boxes and goes above and beyond what we expect from good insulated campers. For instance, it has a thermostat, fireplace, block foam insulation, R-15 reflective surface on the rooftop and optional dual pane windows. You’ll also enjoy the luxury it has to offer from a 19-inch LED TV to a full bath tub with retractable screen enclosure, among others! 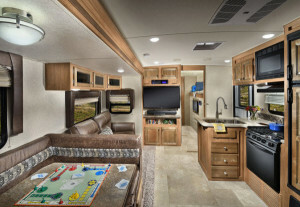 View All Northwood Snow River Travel Trailer Floorplans! 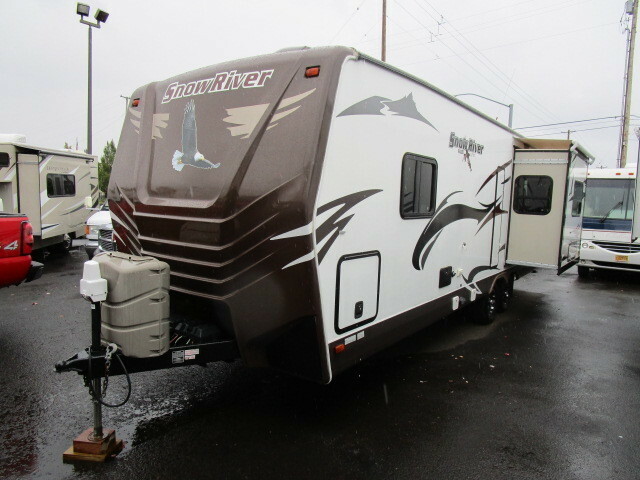 Why we recommend Northwood Snow River travel trailer: As mentioned earlier, Northwood RV is notoriously good at making insulated travel trailers, and the Snow River is another great example of that. You’ve got 2 floorplans to choose from: the Snow River 246RKS and the Snow River 266RDS. There’s not a huge difference between the two: the latter is slightly more spacious and weighs more than the 246RKS. Such an insulated travel trailer with the same level of insulation as the Arctic Fox means you’ll probably not be tailgating with this unit, but if for some reason you’re using it in an area where the weather’s more favorable, it has plenty of features that make it perfectly acceptable for tailgating, as well. 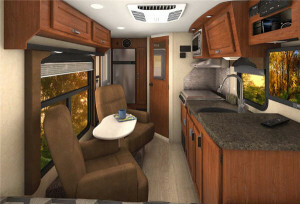 Some examples of those features are exterior speakers, an outside shower, a kitchen grill and power awning. 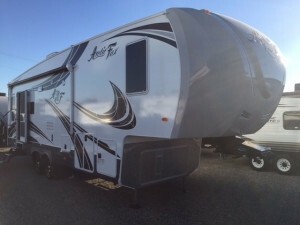 This actually makes it much more than just an RV in our list of insulated travel trailers, it’s also a great all-around travel trailer if you can tow a unit that weighs over 6,000 lbs GVWR. 2 different floor plans available! 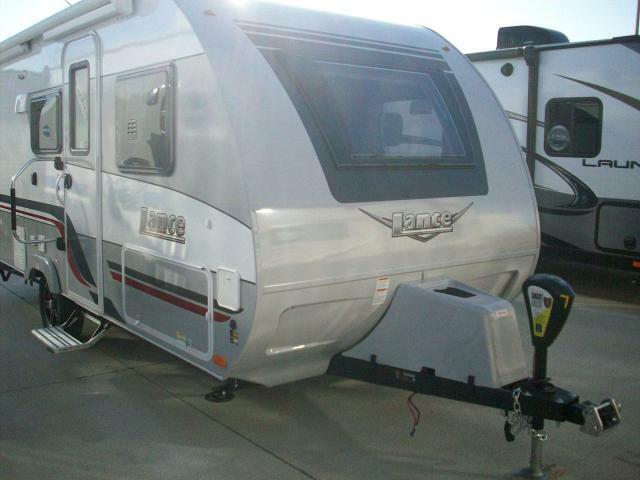 Why we recommend the Lance Lance travel trailer: It is hard to overlook the fantastic insulation that this Camper brings to the table. It also has a ton of good floorplans designed with many scenarios in mind. 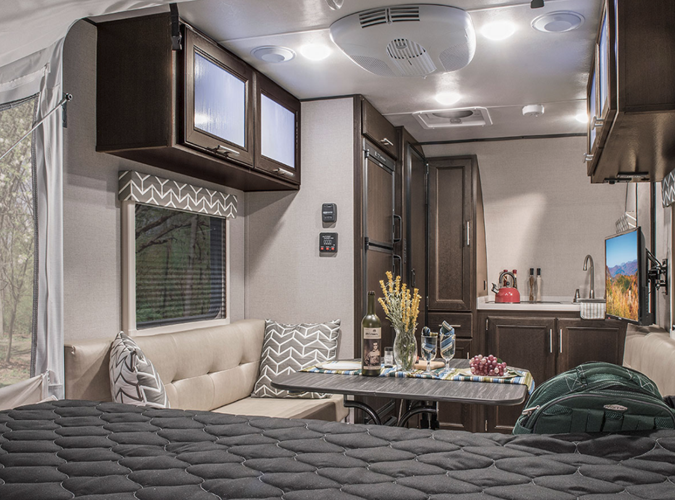 If you’re accustomed to traveling with your spouse and the kids, you probably won’t be looking at anything over 5 sleeping capacity, which the Lance 2465 accomodates. Anything beyond that and you’ll still find quite a few options, all the way up to 7 people on the Lance 2185 floorplan. 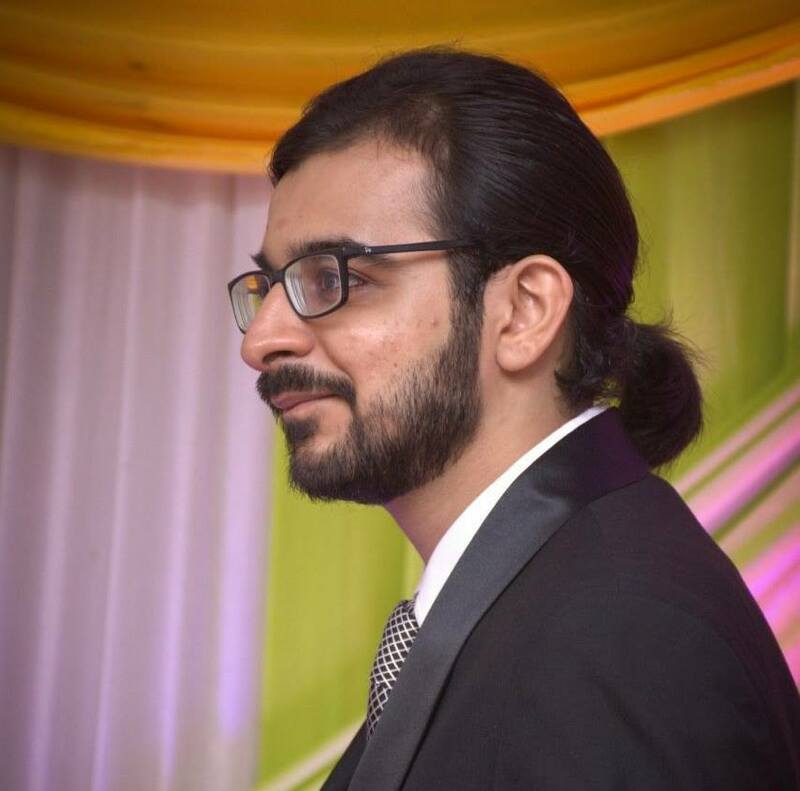 In reference to the structure, the Lance makes use of Azdel construction that replaces wood, hence preventing mold and rot from forming when the RV is exposed to cold conditions. 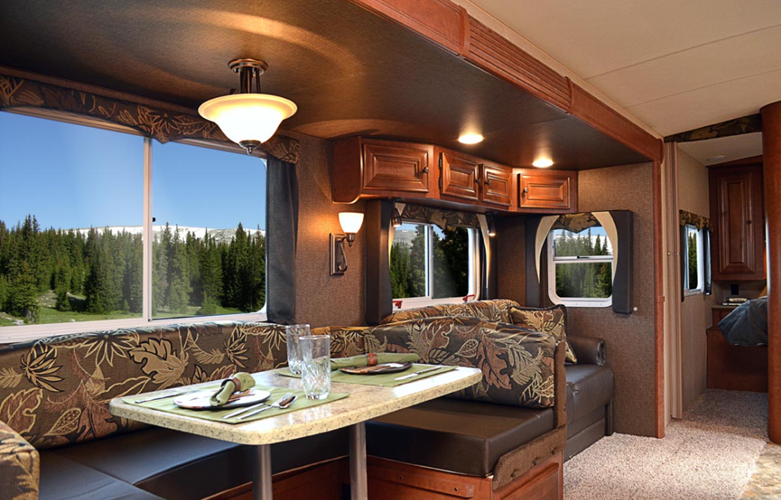 Add that to its dual pane windows, fireplace and wall thermostat, and you will enjoy camping in Alaska or Canada, no problem. 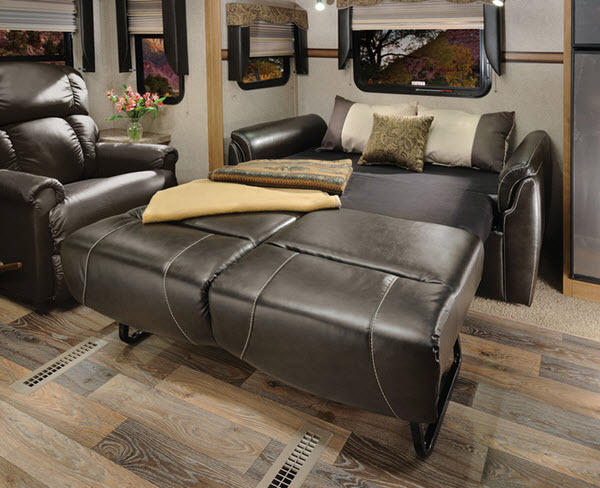 Of course, insulation isn’t the only thing to consider when buying an RV, and the Lance has enough luxury and convenience features to justify its purchase. From a systems monitor panel to decorative LED lighting, you’ll enjoy the white paradise outside when you’re camping in a Lance. Livin Up To Its Name! 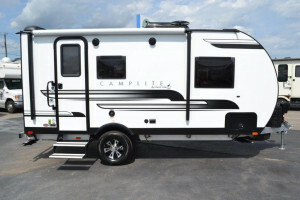 View All Livin Lite Livin Lite Camplite Travel Trailer Floorplans! 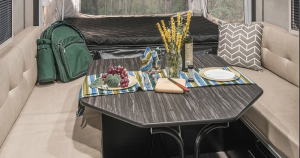 Why we recommend the Livin Lite Camplite travel trailer: As the name suggests, it’s all about keeping it lightweight and offering the best-in class features with the camplite. You can easily tow it with the most basic of vehicles as all of its floorplans are under 5,000 lbs GVWR, with a few even lighter than that. 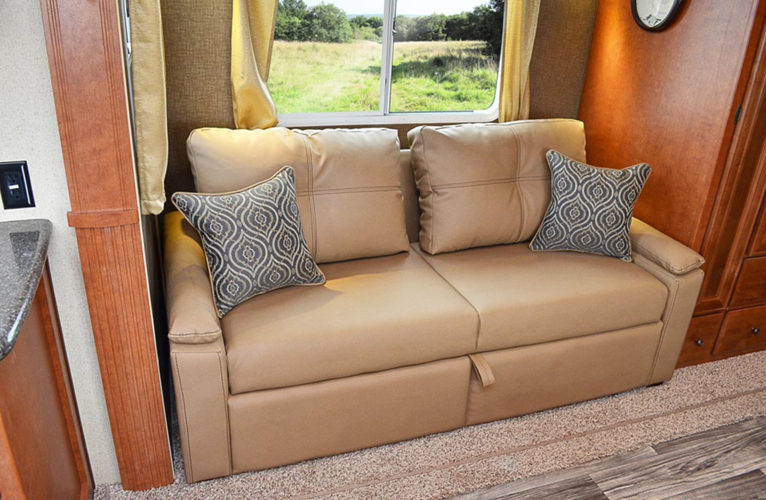 We recommend taking a look at the Camplite CL23RKS and the Camplite CL16DBS floorplans. It may not be advertised as an insulated travel trailer, but the Camplite is one of the best you’ll ever see! It has all of the expected features (fireplace and dual pane windows) and is insulated from all sides using fiberglass, block foam and composite material. While it’s great for Alaska, you’ll need to opt for its upgrade to Canadian RV standards to use it there. 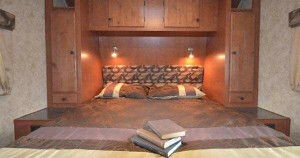 Forest River’s Answer To Highly Insulated Campers! View All Forest River Rockwood Windjammer Travel Trailer Floorplans! 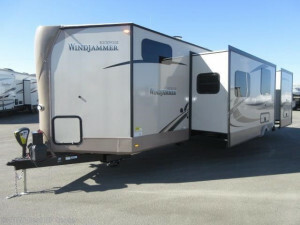 Why we recommend Forest River Rockwood Windjammer travel trailer: If you’ve been towing for a while and know your way over some of the longer travel trailers out there, then the Rockwood Windjammer by Forest River RVs are a great choice they’re spacious, which means more room for cargo, people and insulation. Some great floorplans worth checking out are the Rockwood Windjammer 2715V and the Rockwood Windjammer 3029V. With the exception of an optional thermopane windows, the Rockwood Windjammer has it all: construction which focuses on insulation, durability and fantastic features, and a whole lot of options if you ever plan on upgrading your RV’s features. 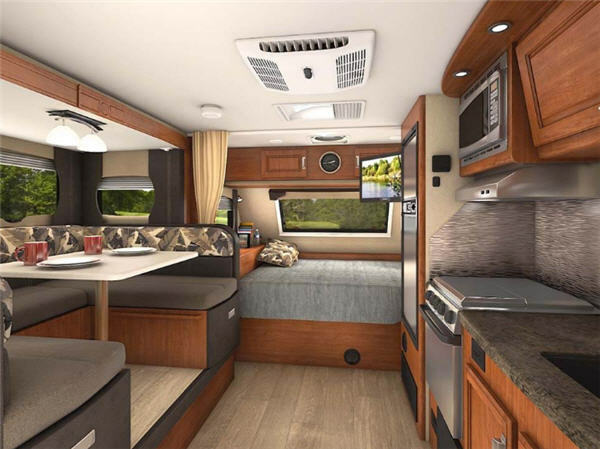 All of this has made us confident that the Rockwood Windjammer is at least worth taking a look at, if not having it in your shortlist of best insulated campers. Staying cozy whether you’re camping in Alaska or in the Great White North is easy with these insulated travel trailers! Share with us your favorite highly insulated travel trailers in the comments below!